The IT landscape is dramatically shifting. New platforms and providers are emerging to make IT organizations more efficient and their end users more productive than ever. IT is becoming a core part of any business or nonprofit. Organizations that can successfully leverage new technologies can fully take advantage of the cost and revenue opportunities available in their market. The shift to hybrid cloud environments is a major trend that IT admins are embracing. Many organizations have legacy systems on-prem but are shifting to the cloud. As a result, they are straddling the on-prem and cloud worlds, but their management tools are struggling to keep up. While it is easy to say that IT organizations should make the leap to the cloud and ditch their on-prem resources, we know that’s not possible. Their users will still come into their offices and need capabilities locally. However, there is also no denying that the future is moving to the cloud. 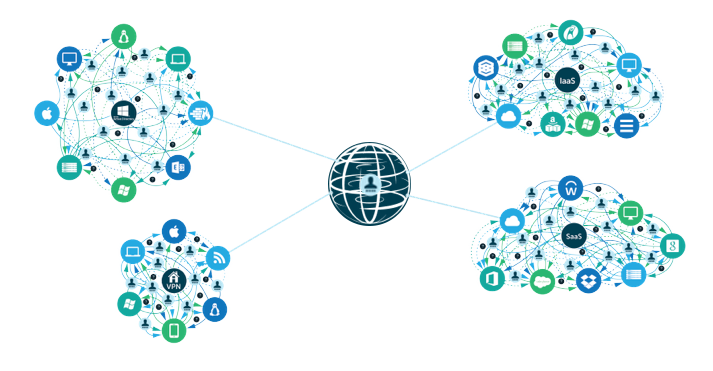 The idea of a modern cloud identity management platform to bridge the two worlds is critical. Historically, organizations have leveraged Microsoft Active Directory®, but that legacy, on-prem system is struggling to shift to the new cloud era. The concept of a modern directory must advance the idea of directory services. It must be an authentication, authorization, and management platform for employees, their devices, and applications. Modern directories must be flexible enough to work both with a company’s cloud and on-premise infrastructure in terms of authentication and authorization as well as system management for Windows, Macs, and Linux devices. There should be no distinction between cloud and on-prem applications. Cloud server infrastructure should be managed like data centers of the past. WiFi networks should have security as good as, if not better than, wired. In order to accomplish the mission of managing hybrid environments, a cloud identity management platform needs to meet a number of core requirements. 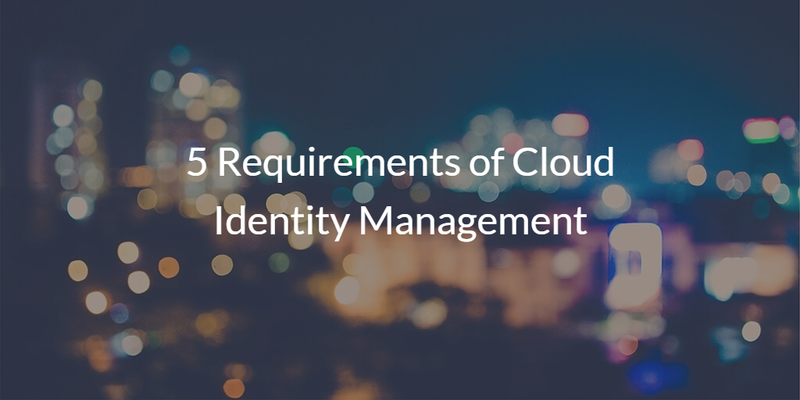 These 5 key requirements of a cloud identity management platform are helpful to think about as you start to investigate shifting your identity and access management infrastructure to the cloud. If you are interested in learning more about how you can take advantage of a cloud identity management platform, drop us a note. Don’t forget to sign up for a free JumpCloud® IDaaS account. Since your first 10 users are free forever, give it a try today.